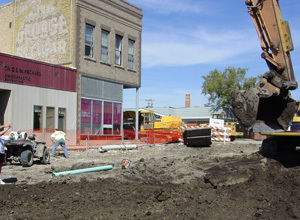 The City of Langdon, ND was plagued by a series of fires that ravaged its business district. Due to aging infrastructure, the City was unable to adequately fight those fires. 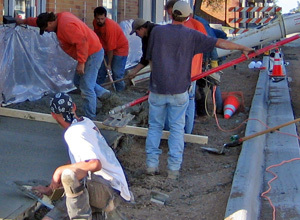 Watermains, sanitary sewers, and storm sewers were all desperately in need of repair. The watermains had limited the ability of the fire department to run their fire fighting water pumps at full capacity. The sanitary sewer was constructed of vitrified clay tile and had sections that were crushed and impassable. The storm sewer was also in poor condition with manholes constructed of brick and mortar which were crumbling and plugging the pipes. 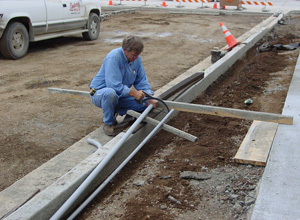 The existing street had been patched numerous times from repairs made to the underground infrastructure. Additionally, void areas under the concrete pavement were observed and thought to have been caused by washouts that occurred along with watermain breaks. In addition to a badly broken and patched Main Street, sidewalks were broken, heaved by overgrown boulevard trees, and crumbling. 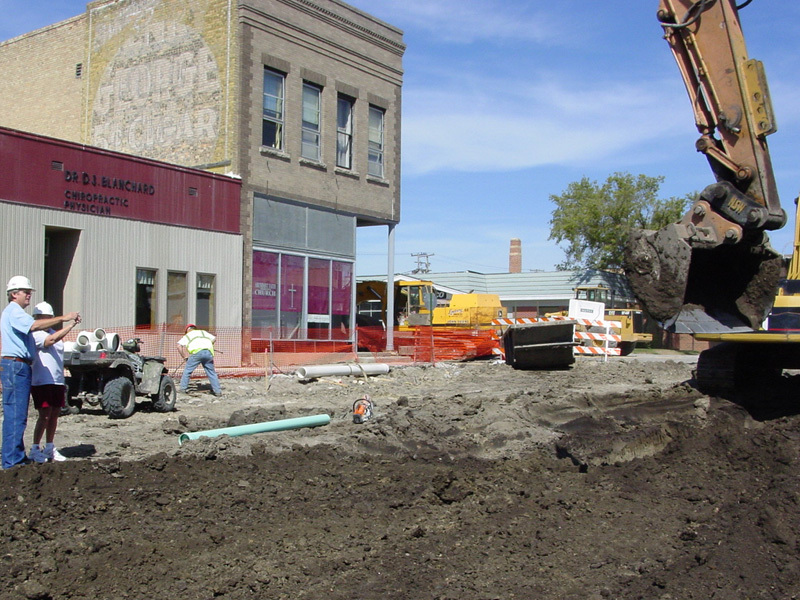 To replace the entire underground infrastructure and restore safe surface conditions, the street and sidewalks had to be completely removed and replaced from store front to store front. 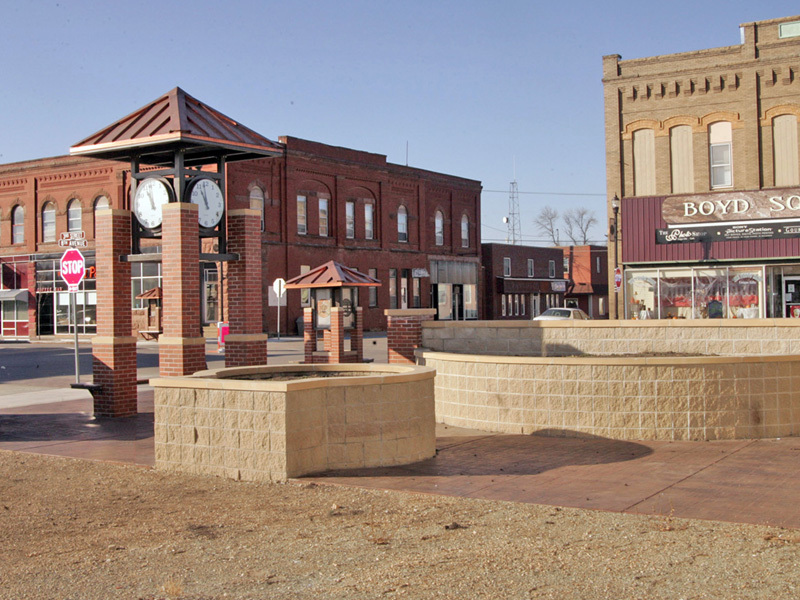 The City was fortunate enough to receive a forty-five percent federal grant for the project. 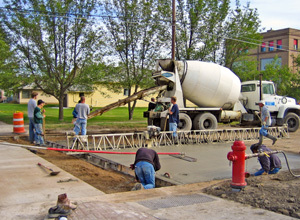 As part of administering the grant and loan, the funding agency indicated that an asphalt street surface would be funded because it had a lower initial cost than concrete. 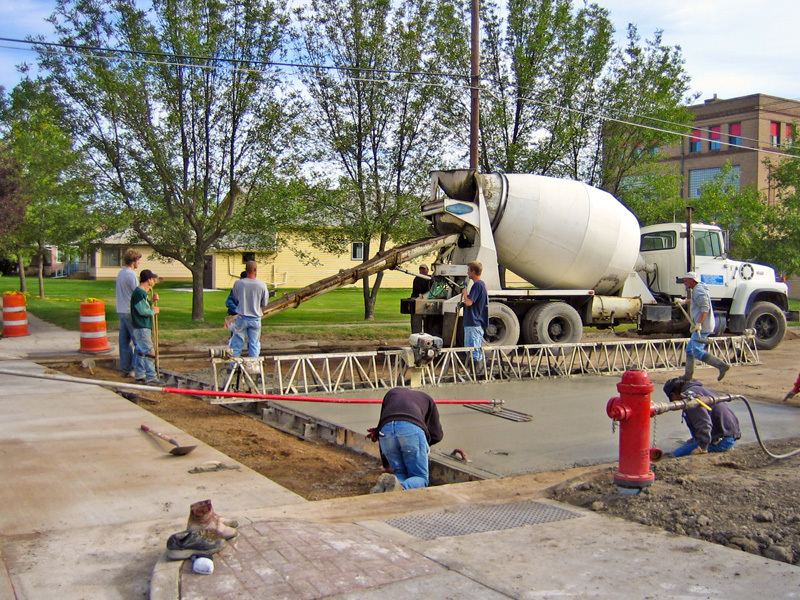 After performing a life-cycle cost analysis showing that concrete had a lower cost in the long run, the City opted to pay the difference for a long-lasting concrete street. 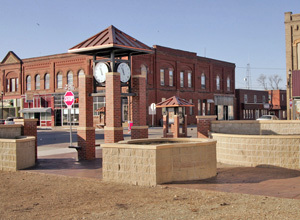 In addition to repairing necessary infrastructure, the City of Langdon wished to revitalize their central business district. The idea of a unique streetscape was on the minds of citizens and City leaders. Through public information meetings and workshops, the City and AE2S, along with sub-consultant ICON Architectural Group, devised a plan that consisted of colored and patterned sidewalks and crosswalks, enhanced lighting, landscaping, banners, and a clock tower on the main intersection. Part of the façade that was salvaged from the burned down historic Boyd Block building was integrated it into the streetscape planter walls. Today, the City of Langdon has a business district that it can be proud of. 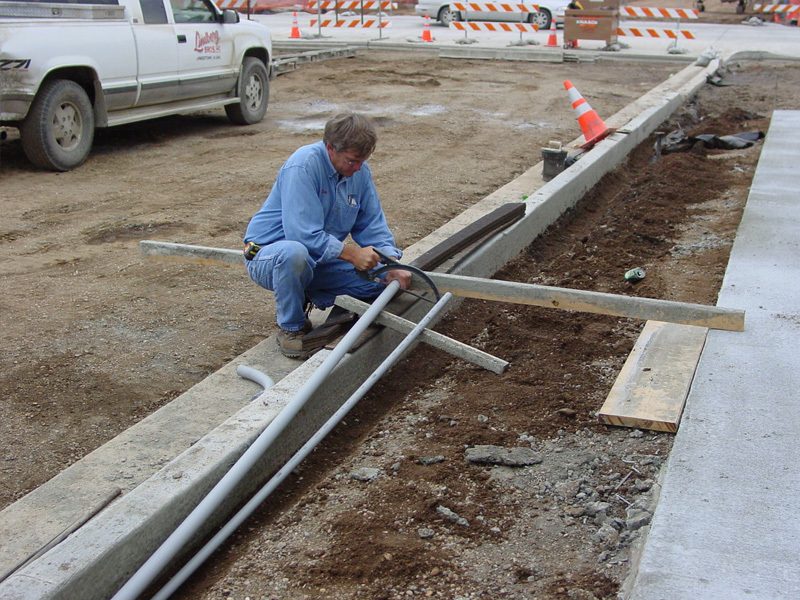 The infrastructure has been updated to meet the City’s present and future needs. 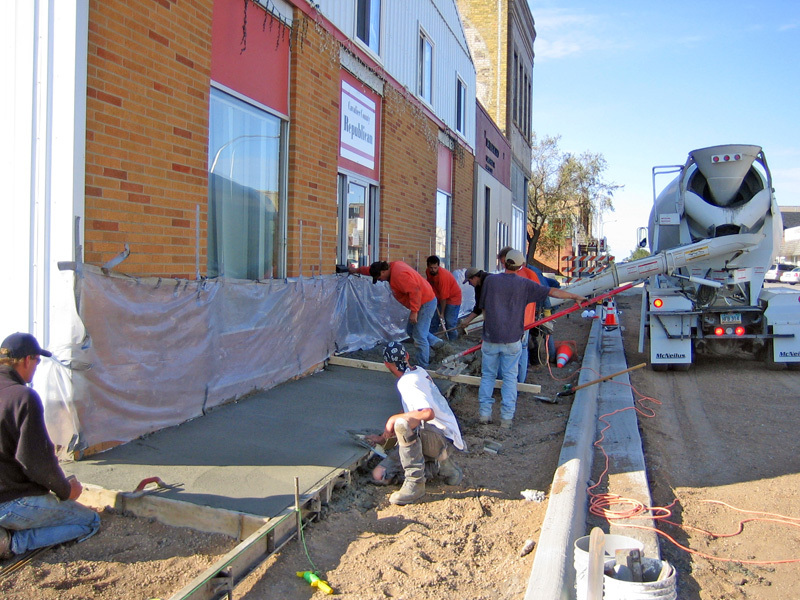 The street and sidewalks have been completely rebuilt, and the streetscape is in place. Since completion of the project, many business owners have taken the initiative to remodel their store fronts. Downtown Langdon is once again new and vibrant.